When Wes, a young fashion designer from 2017, buys an abandoned building in the French Quarter of New Orleans, he finds himself transported to the UpStairs Lounge, a vibrant seventies gay bar. As this forgotten community comes to life, Wes embarks on an exhilarating journey of self-exploration that spans two generations of queer history. This smash Off Broadway hit features a gritty, glam rock score and a tight-knit ensemble of unforgettable characters. The View UpStairs asks what has been gained and lost in the fight for equality, and how the past can help guide all of us through an uncertain future. Current, engaging and thought provoking. 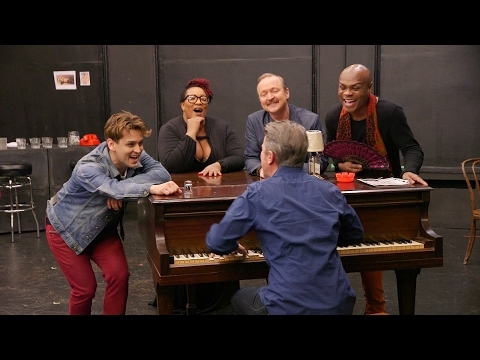 The View Upstairs is a stunning work that is uplifting and enlightening as it encourages the current generation to keep striving for equality, acceptance and inclusion" - BroadwayWorld, Read More. The UpStairs Lounge, a gay bar in New Orleans, LA. The show starts and ends in the present day, the rest takes place back in 1973. WES - (mid-late 20's) 20-something fashion designer from the current day. Self-consciously hip, prematurely jaded, and perpetually anxious. Wes wears a fabulous facade, but deep down harbors real insecurities and dissatisfaction with his life. Has never experienced real tragedy or love. 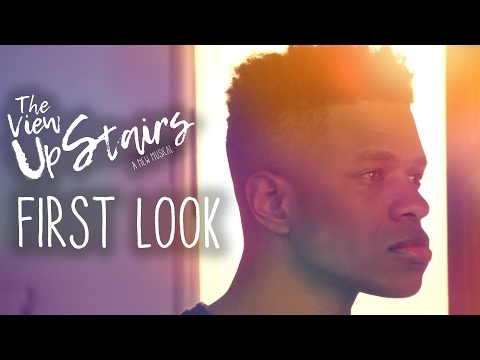 PATRICK - (early 20's) Young, runaway hustler who projects innocence and fragility, but is a lot tougher than he appears. Patrick creates fantastic, imaginative stories to distract from the harsher realities of his life. Has the ability to see a vulnerability and sweetness in Wes. BUDDY - (50's) The resident piano player of the UpStairs Lounge. Charismatic, but also very temperamental and somewhat bitter. Loves the attention he commands within the community, but also resents being stuck in it. Dreams of one day being a big star, but knows it will never happen. Closeted, with a wife. WILLIE - (40's-60's, black) Holdover from another era of gay life with a more camp sensibility. Might know all the secrets of the universe, might be in the early stages of dementia. HENRI - (30's-40's) Tough as nails, no-nonsense, old school butch. Henri is the bartender of the UpStairs Lounge and runs a tight ship. Although she comes across as a bit severe, she cares very deeply for the community within the bar. FREDDY - (20's-30's, latino) A construction worker by day, Freddy also doubles as the drag queen Aurora Whorealis by night. Big personality, energetic, and bright. A close friend to Willie and on good terms with everyone else in the bar. INEZ/REALTOR - (late 40's-60's, latino) Freddy's mother and also occasionally a mother to the other men in the UpStairs Lounge. Born in Puerto Rico, she moved her family to America when Freddy was still young. Lovable, warm, and supportive, Inez assists with her son's drag performances. As realtor, she is smarmy, fake, smiles too much, etc. RICHARD - (40's) Priest of the Metropolitan Community Church. Perhaps more conservative than other patrons in the bar, but level-headed and warm. DALE - (30's-40's) Arsonist. Sensitive and more radical in his sexual politics. A raw nerve and someone who's experienced a good deal of hardship at society's hand. COP - (30's-40's) In the past the cop is a corrupt, homophobic, and violent. In the present, the cop is still stern, but has a sense of humor, and seems to be in service of justice. *OPTIONAL* ENSEMBLE/CHORUS - Other patrons in the bar who round out the community. It is also possible to have the character of Richard played by a woman, in which case please use the name Rita Mae. It is possible to have the character of Richard played by a woman, in which case please use the name Rita Mae. While there is no specific race/ethnicity indicated for Wes or Patrick, the author encourage theaters where possible to employ diverse casting and not end up with two white leads. The View UpStairs premiered in production by Invisible Wall Production at the Lynn Redgrave Theatre in New York City in February 2017 under the direction of Scott Ebersold.